One way to get subscribers to notice your email is by adding symbols in the subject line. Symbols - also known as "glyphs" - have good email client support and can help your emails stand out in a crowded inbox as well as increase engagement. Email Client support for symbols in email subject lines. You can ensure that your symbols are supported within email clients by using a utf-8 encoded character in your subject line. Just copy the symbol from one of the sites noted above and place it into your email subject line. Proceed with Caution! Outlook 2003, Lotus and some Blackberry devices offer very limited support to Glyphs. You may noticed the symbol is rendered as a question mark (“?”) instead of the icon you were intending. 2. Click on the name of your in progress email campaign. 3. 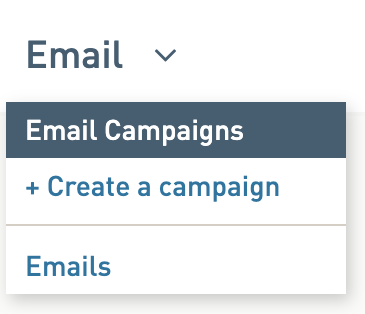 You'll be on the Settings tab of your email campaign. 4. Paste in the utf-8 symbol in the subject line field and then type in the rest of your subject line. 5. Click Save on the Settings tab of the Campaign. 6. Test your email across multiple email clients to ensure the symbols renders appropriately.